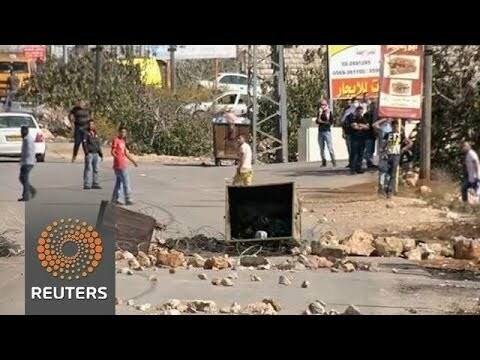 RAMALLAH (Ma’an) — Israeli forces shot and killed a Palestinian teenager late Friday during clashes in Silwad village near Ramallah in the occupied West Bank, medical officials said. RAMALLAH (Ma’an) — Seven Palestinians, including a child, were shot with live bullets in clashes near Ofer detention camp in Beituniya west of Ramallah on Friday, onlookers said. Israeli forces fired live bullets, tear gas, stun grenades, and rubber-coated steel bullets at the hundreds of protesters that were present at the scene. Palestinians threw rocks at them, and seven were shot in different parts of their bodies. The clashes came after Israeli forces shot and killed a Palestinian teenager near Ramallah. The army said he was throwing a Molotov cocktail before they opened fire.